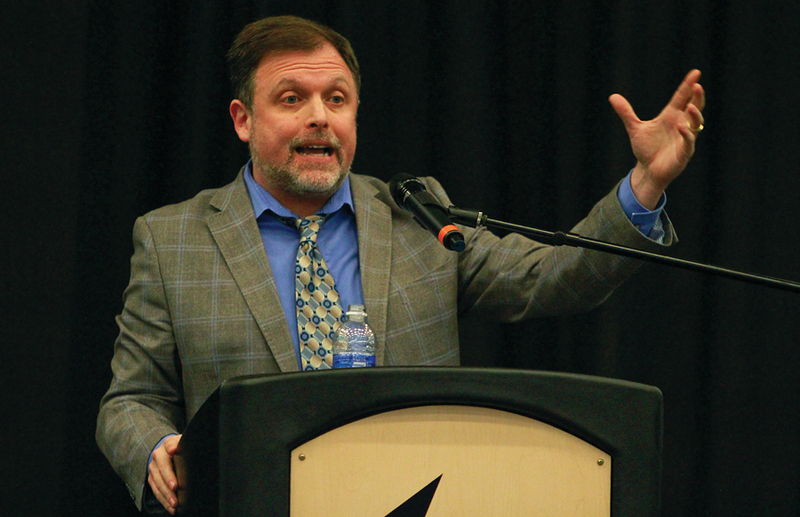 Towson got a healthy dose of cultural perspectives when antiracism activist Tim Wise came to SECU Arena on Wednesday, Sept. 23. The event began with an introduction by Assistant Vice President of Student Affairs and Diversity Santiago Solis and senior English major David Ward. “Tim Wise is like a medium between those dealing with oppression and those dealing with being oblivious to it,” Ward said. Before beginning his lecture, Wise addressed the audience in saying he would call out any person who decided to leave early in order to establish the importance of what he was going to say. Wise then emphasized that society needs to comprehensively and accurately understand its past in order to understand its present circumstances. He frequently spoke of the core concept that racism is rooted in systemic stratification, and how that influences all individuals of that system. A key aspect of the event was understanding the historically founded problems around systemic racism and perpetuating awareness of it in everyday life. Wise concluded his speech with a red pill/blue pill reference from “The Matrix” that paralleled society’s choice to learn the truth about the condition of humanity, or choose to remain ignorant and indifferent. Following the speech, audience members were invited to the microphone on the floor to ask Wise any lingering questions they may have had. Many students who stayed for the question and answer portion expressed frustration that most of the students who attended the event for extra credit loudly exited the arena once they were not required to be there anymore, despite Wise’s request that they leave quietly. “I enjoyed it, but I could see the looks on some of my classmates and peer’s faces just like ‘I want this to be over with,’ so it is encouraging and discouraging at the same time because there are people you know want to help, and you know there are people who are here for the points,” sophomore Saraubi Harrison said.